Today marks the first day of April and most of us in Michigan can now say winter 2016 is almost behind us. 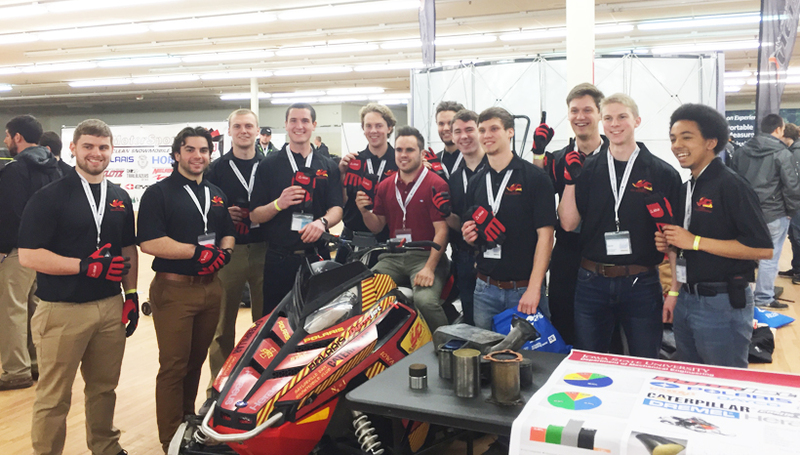 We’re looking forward to warm weather and summer trips, but a group of dedicated students just finished competing in the 2016 International Clean Snowmobile Challenge (CSC) and are already looking ahead to start their next design cycle for winter 2017. Their “winter” season never officially ends! 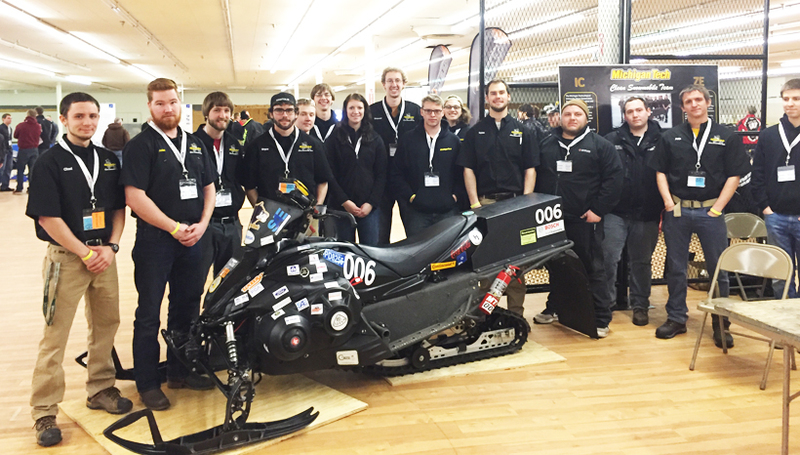 Fifteen collegiate teams traveled to Houghton, MI from across the U.S. and Canada to compete with their redesigned snowmobiles this past March. This annual snowmobile competition challenges students to reengineer existing snowmobile designs to reduce emissions and noise. 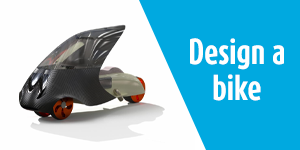 Students work all year long to design and build a better, more efficient snowmobile. 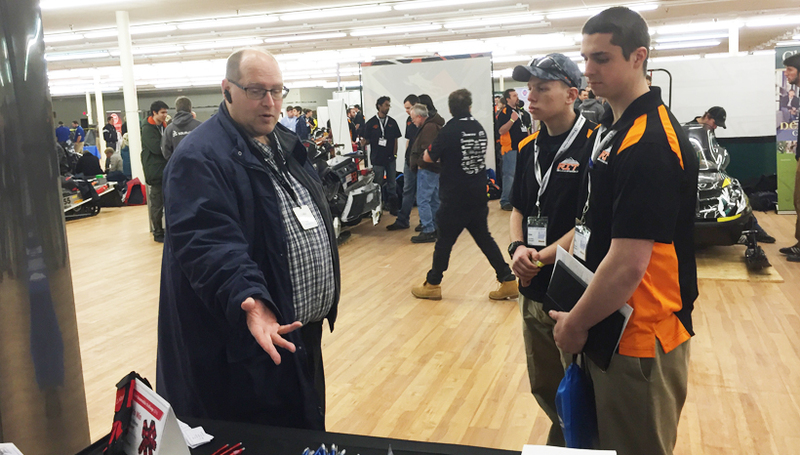 Their designs are then put to the test at the Clean Snowmobile Challenge where events cover categories such as emissions, noise, fuel economy/endurance, acceleration, handling, static display, cold start, and design. 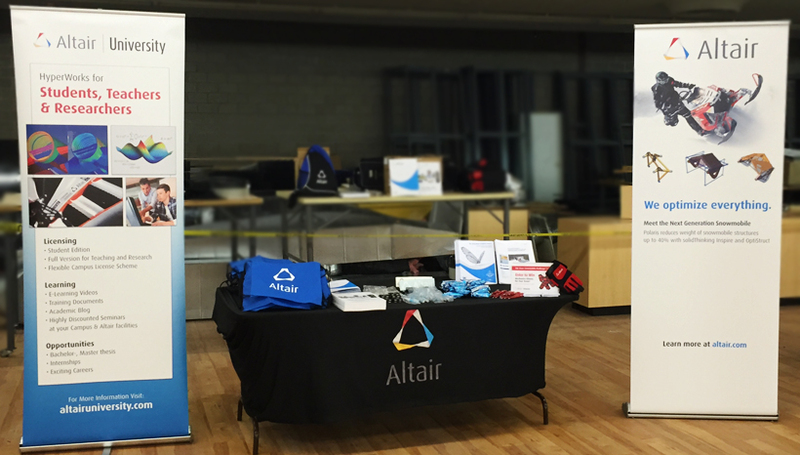 Altair University is a proud supporter of student SAE events and was a sponsor for the 2016 CSC. Darius Fadanelli, US Midwest EDU Manager and Erik Larson, US Training Manager made the journey to the Upper Peninsula to attend this great event. Darius and Erik had a fun-filled week participating in CSC and meeting with students and professors from different universities to learn about their designs and software needs. Student teams and sponsors also had the opportunity to set up at the Copper Country Mall where they could interact with everyone at the event. The Altair table was filled with giveaway items, snacks, and more. Many teams learned about Altair’s involvement with Polaris and the great success Polaris experienced using OptiStruct and Inspire to optimize their snowmobile parts. Students could also enter to win mechanics gloves for their entire Clean Snowmobile team. Congratulations to the University of Iowa team for winning the giveaway! In addition to sponsoring the SAE Clean Snowmobile event, Altair University also offers sponsorship to individual Clean Snowmobile teams. 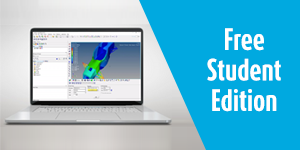 Students receive complimentary licenses of Altair’s comprehensive CAE HyperWorks software suite, including the award winning tool solidThinking Inspire. 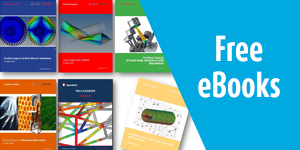 These design tools give students the ability to innovate their designs, giving them a competitive edge in their competition. 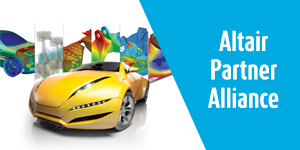 Altair University sponsorship is available to any student SAE team for any type of competition – including the Formula and Baja series. 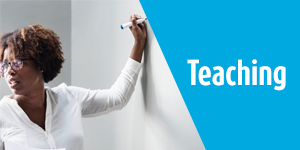 All students also have access to the vast amount of resources in our Learning Library on the altairuniversity.com website, which includes trainings, e-books, videos, and a dedicated support forum to answer questions. With only a month left until FSAE 2016 in Brooklyn, MI, we’re gearing up quickly for the spring racing season! Learn more about how HyperWorks can help you with your collegiate designs and check out our sponsorship page to learn about our global sponsorship opportunities!